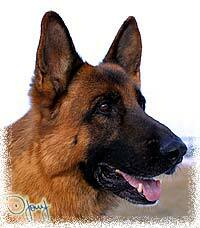 At Jerland Kennels we do everything possible to eliminate hip and elbow dysplasia from our dogs. Although no breeder can claim 100% perfection in this area, we feel our sucess rate has been exceptionally high. To view results of some of our dogs, check on our link to OFA's website.